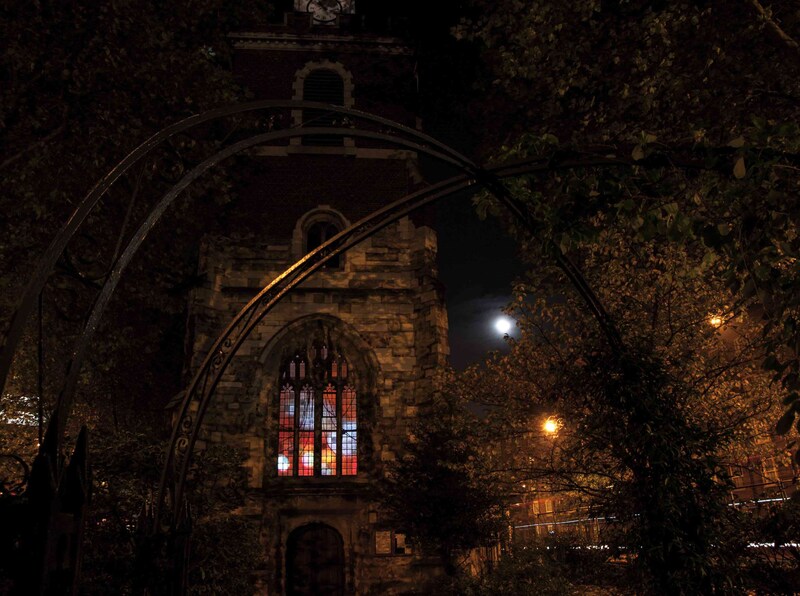 parallel relay is a collaborative project by esther ainsworth and light artist kirsty dixon, utilising and elaborating on the tumultuous history of bow church and the uniqueness of its location, isolated in the centre of a main road. the artists residency was granted by the church to enable both artists to explore the conflict between the overwhelming noise and stress of the road surrounding the church and the serenity and contemplative atmosphere found inside it. parallels are drawn between the omnipotence of current technology and of religion in past centuries. 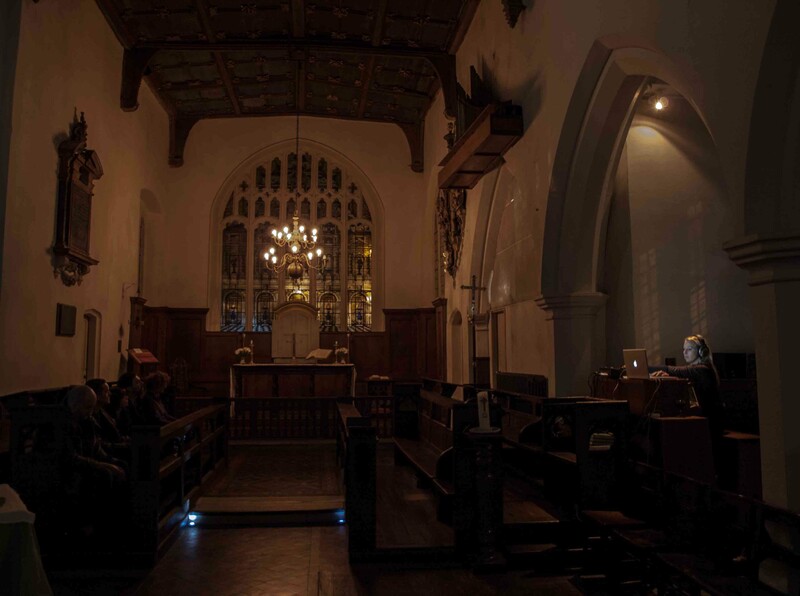 light and sound are manipulated from the surrounding environment of the church and relayed within the building to create a series of events which interpret and transform the space and how it is experienced. 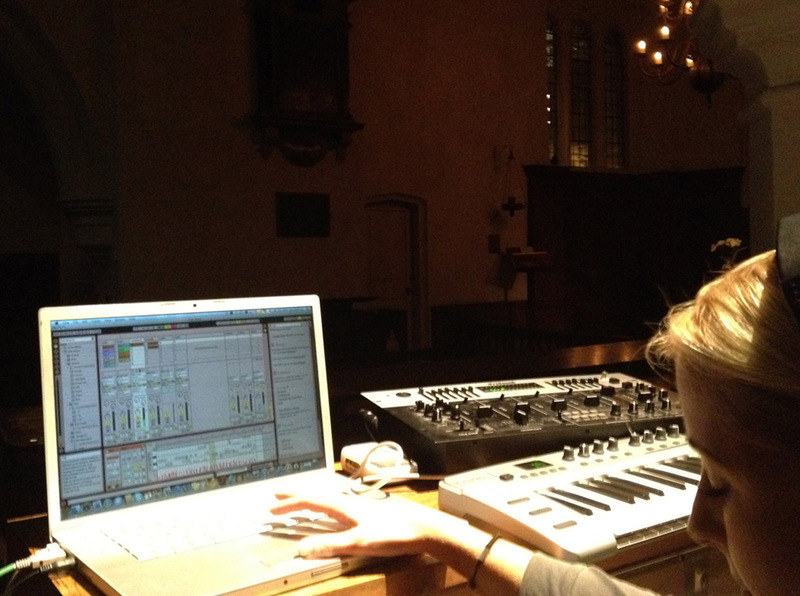 esther's site-specific sound work focuses on the placement of bow church, surrounded by a never ceasing flow of traffic. alienated by its location, the church is both a landmark to some and unnoticed by others in the speed of daily commuting. live sound was relayed from both sides of the church, focusing on the movement of the busy main road casting sound into the interior, and resulting in an environment that is shaped by the acoustics of the architecture of church and the fluctuating patterns of the outside world. 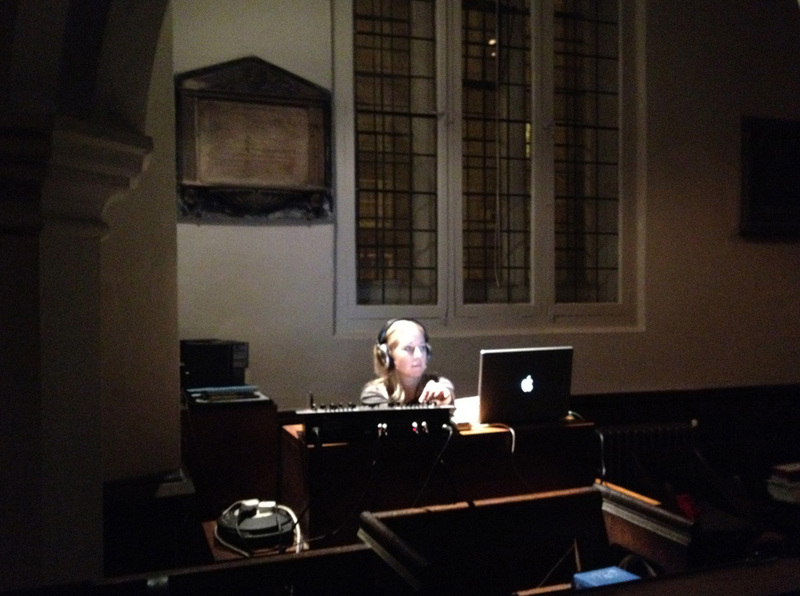 this evolving, immersive work became the starting point for a series of performances responding to the patterns of the traffic, which also included a church bell ringing and improvisation piece using the the church organ. a full project pdf is available on request from the artist.